Congrats grads! We at Wegmans want to wish the best of luck to the class of 2018 Wegmans employees, who we know will go on to do amazing things. How do we know this? Because we’re dedicated to helping our students by preparing them for the future. With programs like our annual scholarship, we’re able to help hundreds of employees continue to grow and succeed in their careers. Since we launched the program in 1984, we have awarded an astounding 36,500 employees with scholarships, totaling $115 million. This year alone, we awarded 1,675 Wegmans team members with scholarships, giving more than $5 million to help with tuition for the 2018-2019 school year! But our scholarship program isn’t the only way we make life easier for students. With our flexible schedules and diverse opportunities, busy scholars have plenty of room to expand their careers at their own pace. Even better, we offer employees the chance to begin their careers at a Wegmans store close to home, and continue to grow with us at a location near their college campuses if they choose! Our commitment to the true development of our team members is one reason we’ve been named one of Fortune’s “100 Best Companies to Work For” for 21 years in a row. And as we continue to equip our employees with the tools they need to succeed, we understand that we are catapulting them on an exciting career journey ahead. In fact, more than half of our store managers have worked with us since high school or college. 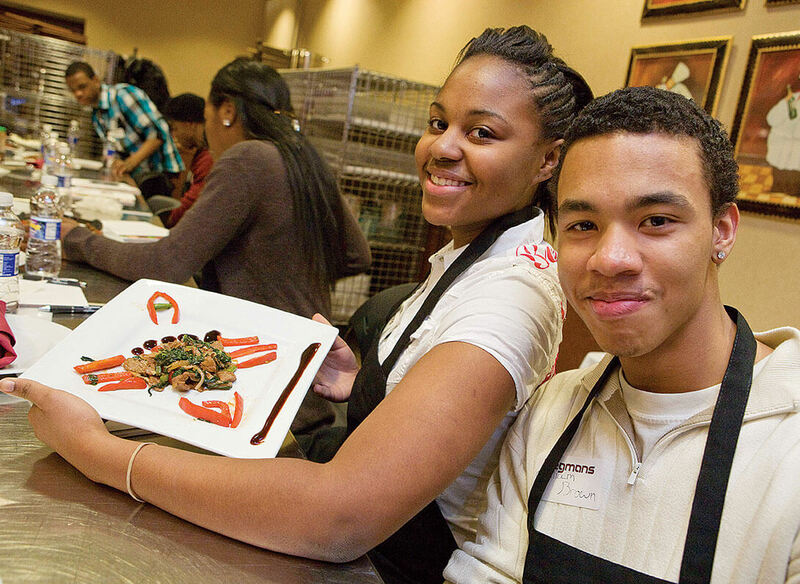 At Wegmans we are proud to help students along their career paths, and we encourage new, driven employees to join us in our locations across the country. Are you interested in being a part of a family that wants to see you conquer your career goals? Join us today!